If you are a book lover, there will be many books in your life that you enjoy. They will make you laugh, cry, think, sympathize, dream, or simply escape reality for a while. But only a few will change you. 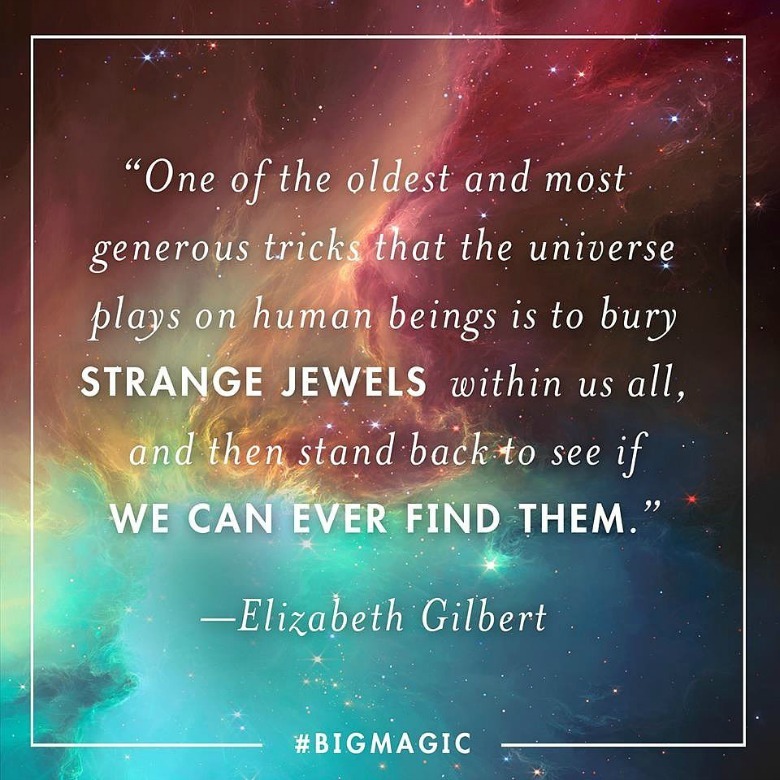 I found one to add to that precious list: Big Magic by Elizabeth Gilbert. I've been wanting to write about this book for several days, but have kept postponing it for fear that I won't be able to do it justice. Silly me. 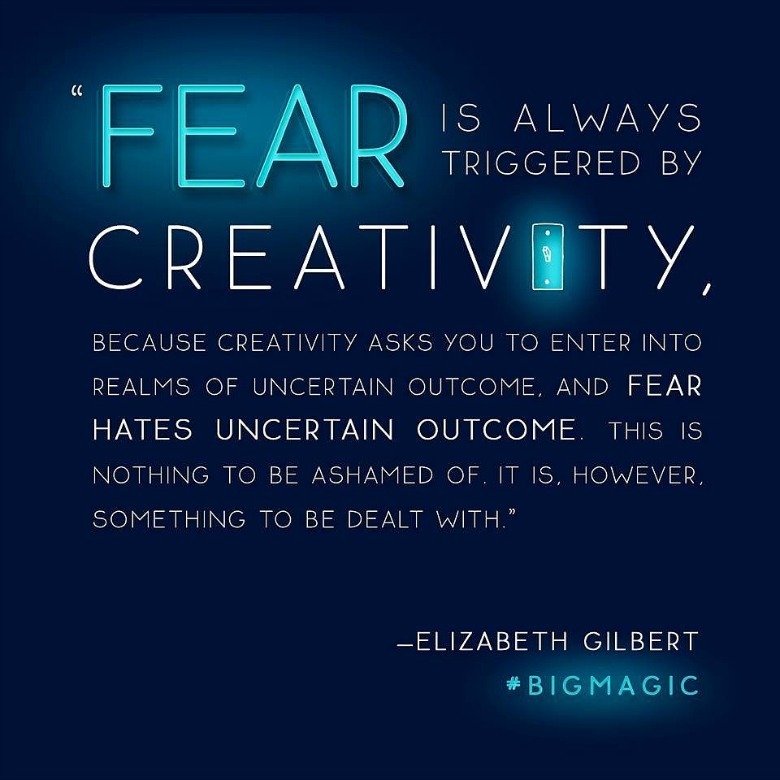 If I've learnt one thing from Big Magic, is that fear is a normal part of the creative process, and you have to make friends with it. So there I go, trying my best, because that's all any of us can do. 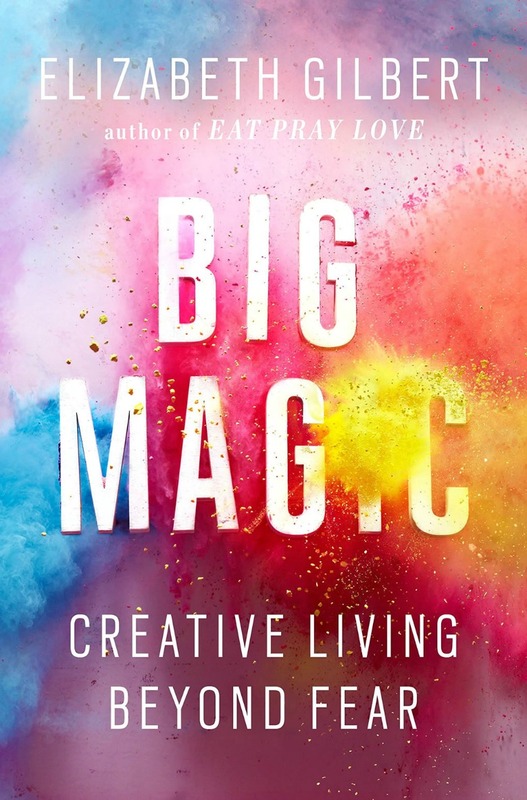 Big Magic tells you that you are a creative person. Yes, you. Look down from the screen for a moment, at your hands. Those hands can create. They already do: They bake, paint, make music, can draw a perfect eyeliner line, make elaborate hairstyles, write, throw a ball, stroke a crying child, pet a cat. 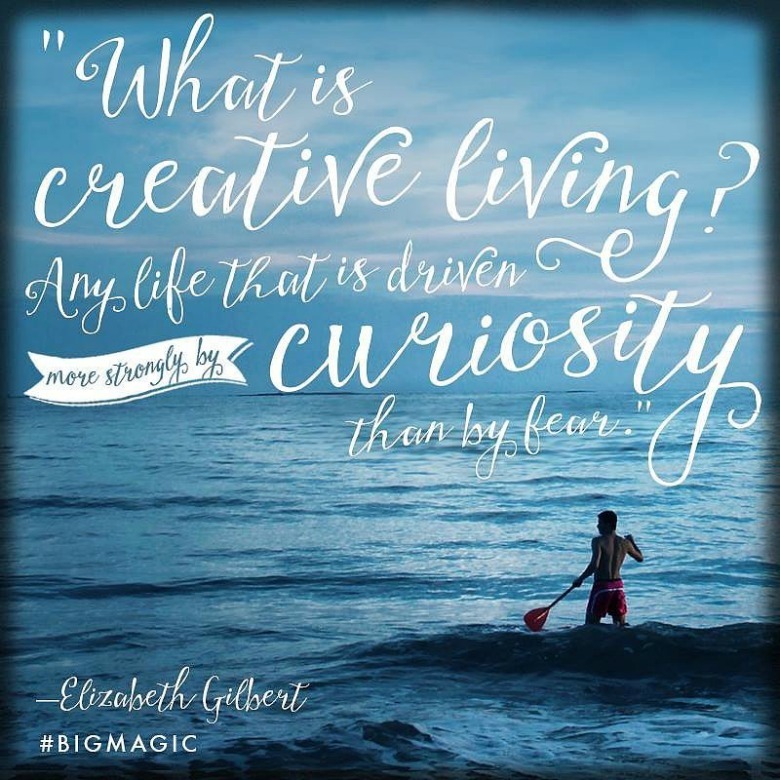 Liz states that we are all creative, because humankind has created art for as long as we have existed. Was there a reason to paint pictures on cave walls? Was it essential for survival? Probably not. But that didn't stop our ancestors to get out their mammoth-hair brushes and start painting. 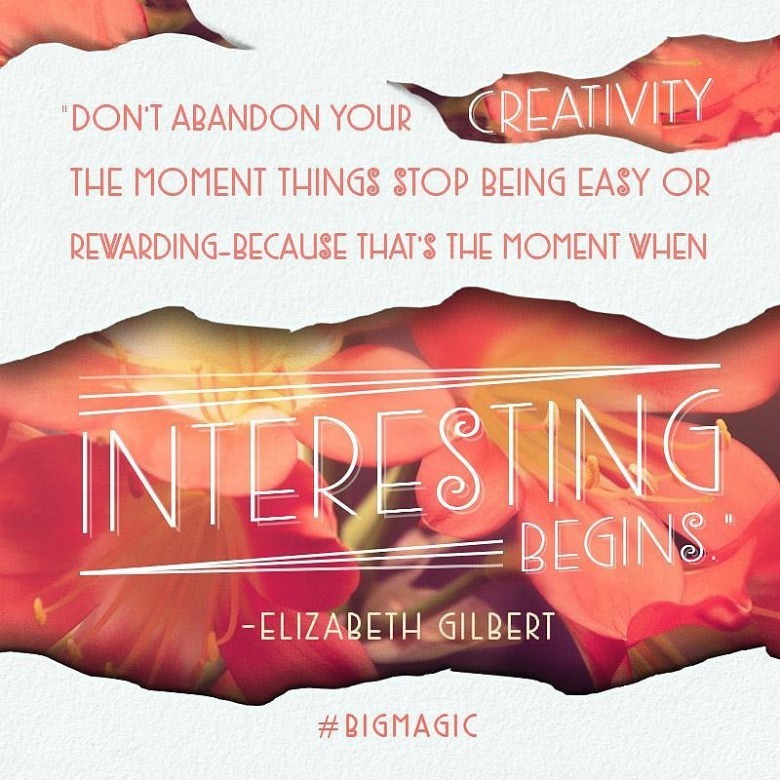 Big Magic gives you the permission to start creating. Not that you need it - but if you never dared to begin because you thought it would be a waste of time, there you go go - permission granted! It's not about becoming successful in the sense that you will make a career out of it, or become rich and famous. Not at all. It's about enjoying the hell out of it. Because you know what? Being creative is fun. It gives you a thrill and excitement that is one of a kind. It makes you feel alive and vibrant! It also gives us the gift of gaining a deeper appreciation for life. Here is the best part, the "magic" of it. 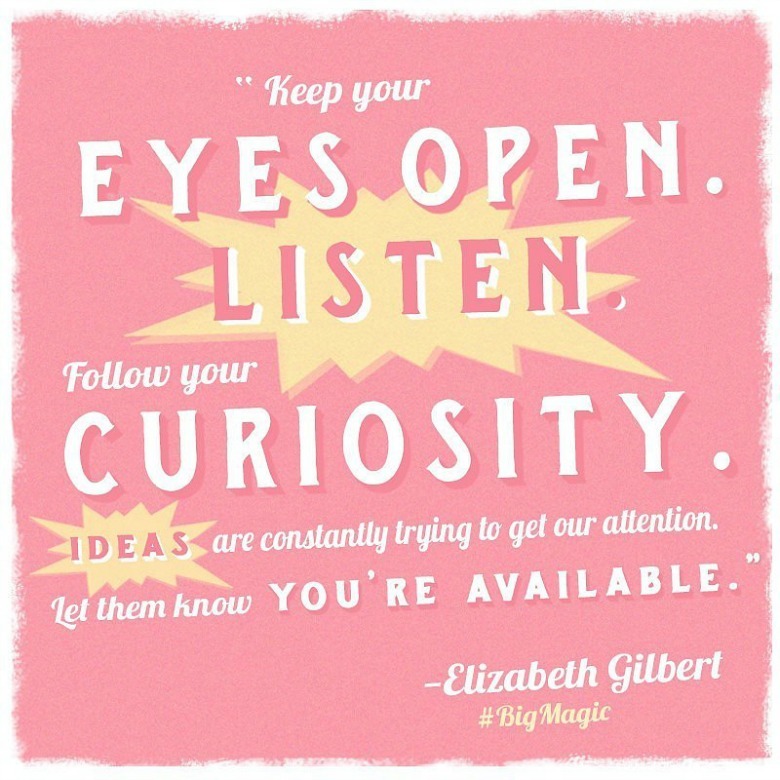 Liz tells us that ideas are not just insubstantial thoughts in our heads. They are living beings who want to be brought to life. So they float all around us, looking for the person who can make them manifest. Before you roll your eyes and move on, think for a minute. Have you ever woken up with a great idea, that came seemingly overnight? That made you jump out of bed with excitement, brimming with energy and eager to get started on a new project? I hope you have. It's the best feeling in the world, nothing short of a miracle. That's part of the big magic. Of course, ideas won't find you all the time. And it's not all fun and play. For the most part it's a ton of work, you showing up day after day, putting in countless hours. It's getting up an hour early before work, to write, or draw, or go figure skating. Because it makes us feel alive. It gives us joy. Liz says it best: "This is how I want to spend my life: Collaborating with forces of inspiration that I can neither see, nor prove, nor command, nor understand." 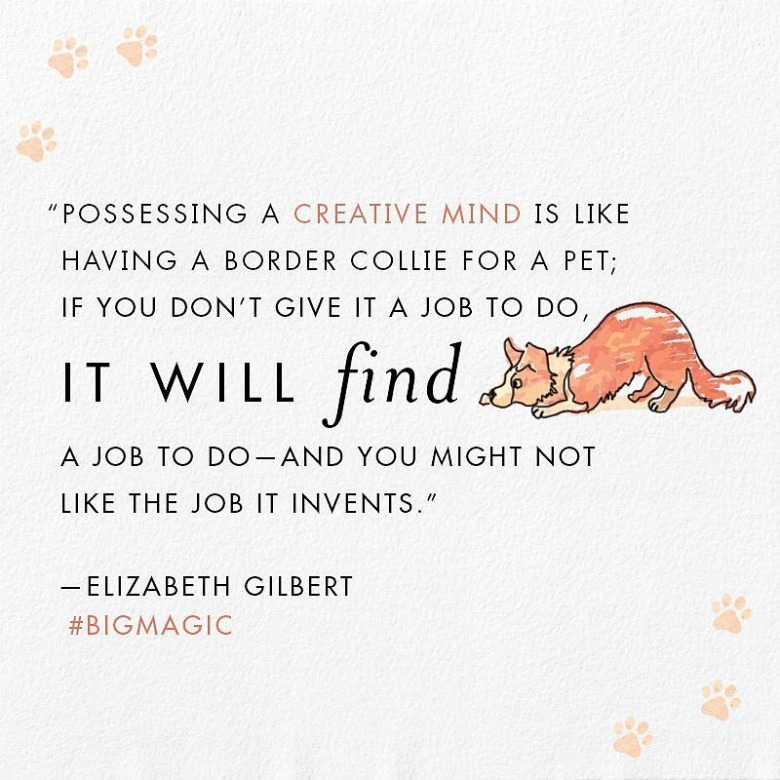 Liz's love affair with creativity is contagious. That's the biggest benefit of this book for me: It makes you fall in love with your own creative side. 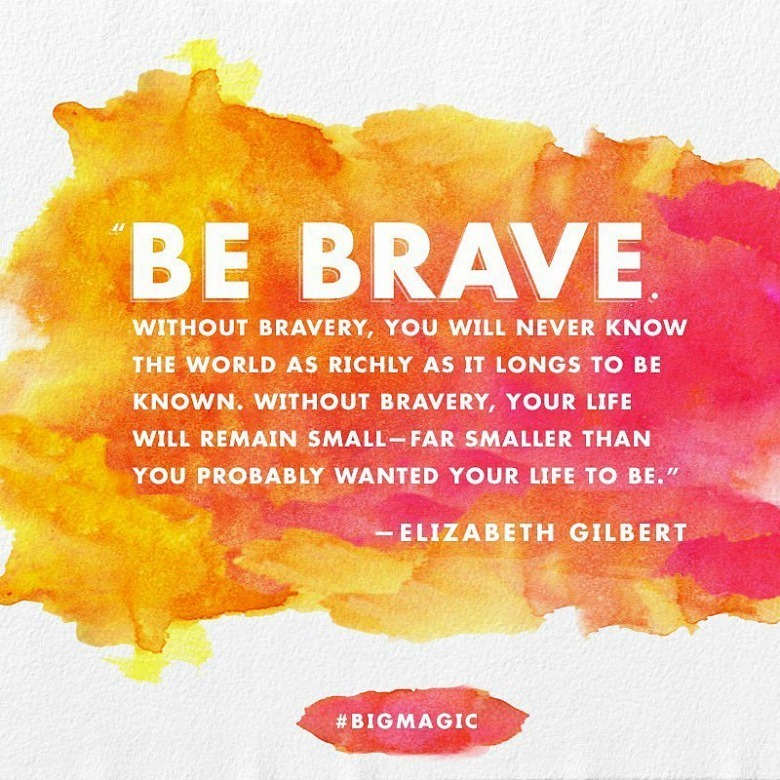 It makes you feel brave. You feel encouraged to explore the depths of your creative soul to find hidden jewels in there. Another important benefit I got from the book is this: Liz tells you to focus on your work, and not the results of it. "The reaction doesn't belong to you." Most (or all?) creators are worried about how others will perceive their work. Obviously we want it to be liked, and we are afraid of criticism or ridicule. But she reminds us that we have no influence over other people's reaction. By the time our work is out in the world, it's done. We produced it, and hopefully had fun doing it. How people receive it has nothing to do with us. I loved this book deeply. Can you tell? ;-) I can't recommend it highly enough to anyone who ever wanted to create something. Anything! It will inspire you, encourage you, and make you believe in magic. What could be better?